Seven cats bring joy and purpose to the people they choose to adopt. The film takes a look at the history of cats roaming freely through the metropolis of Istanbul, as well as shows how these animals live between two worlds – neither wild nor tame – bringing joy and purpose to those people they choose to adopt. 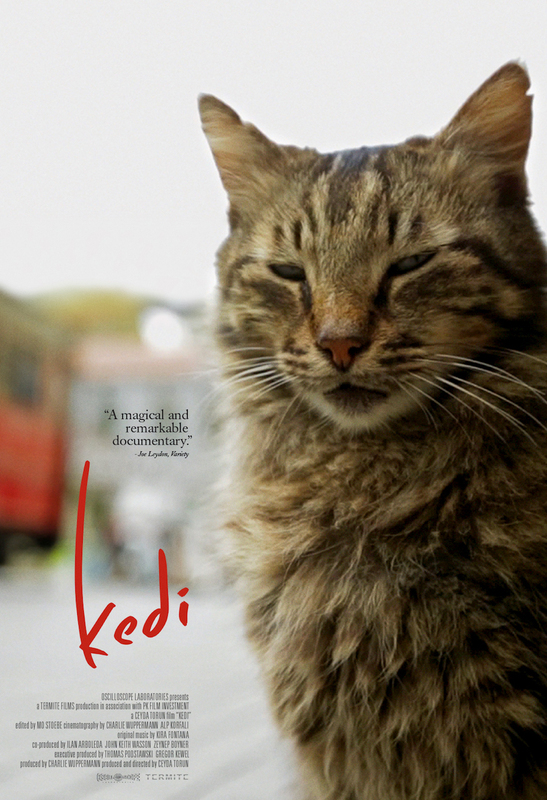 “Kedi” specifically centers on seven kitties: Sari the hustler, Bengü the lover, Psikopat the psycho, Deniz the social butterfly, Aslan Parçasi the hunter, Duman the gentleman and Gamin the player. “Kedi” arrives in 2017. Check out the adorable trailer and new poster below.